Tá sé tábhachtach go mbíonn meas againn go léir ar an timpeallacht agus tuigeann muid é seo i nGaelscoil Uí Earcáin. Chun an chéad bhrat glas a bhaint amach bhí a lán oibre i gceist ar bhonn scoile agus fós tá na paistí go léir, ó Naíonáin Bheaga go rang a sé, iontach gníomhach ag athchursáil. Tá grúpa daltaí ar choiste agus bíonn siad ag obair go crua ar son na timpeallachta. Tá muid arís ag obair ar na seacht gcéimeanna, mar atá leagtha amach ag An Taisce, agus muid ag déanamh iarracht an dara bhrat a bhaint amach. Mar scoil bíonn muid ag athbhreithniú go rialta ar chúrsaí glasa agus ag déanamh ár ndícheall dul chun cinn a dhéanamh. 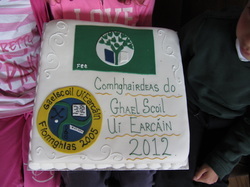 Don chead bhrat eile beidh an bhéim ar chúrsaí fuinnimh na scoile. 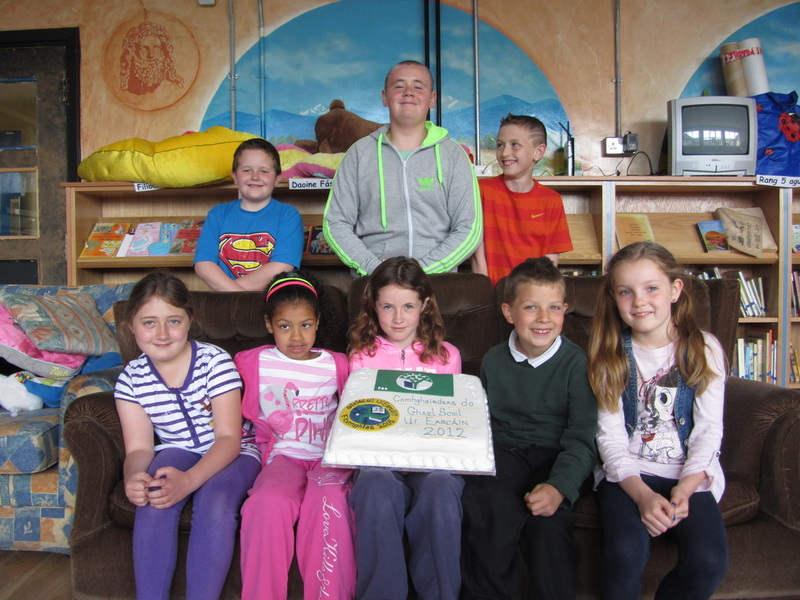 Mar scoil beidh muid go léir páirteach agus muid ag obair i dtreo an brat seo chomh maith. Leis an mbéim mhór ar athchúrsáil agus ar fhuinneamh a shábháil sa scoil seo iad na rudaí a dhéanann muid go laethiúil chun cuidiú le cúram na timpeallachta. Go rialta cuireann muid isteach ar chomórtais timpeallachta agus déanann muid tionscnaimh éagsúla agus déanann muid plé ar chúrsaí glasa sna ranganna. Tá muintir na scoile uile ar fad bródúil as an dea-obair ar fad atá déanta sa scoil agus timpeall na scoile ó thosaigh muid i 2005. 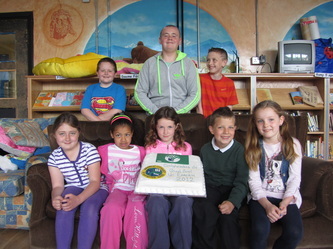 Comhghairdeas le gach duine idir pháistí 'is fhoireann a chabhraíonn linn an scoil a choinneáil glas! 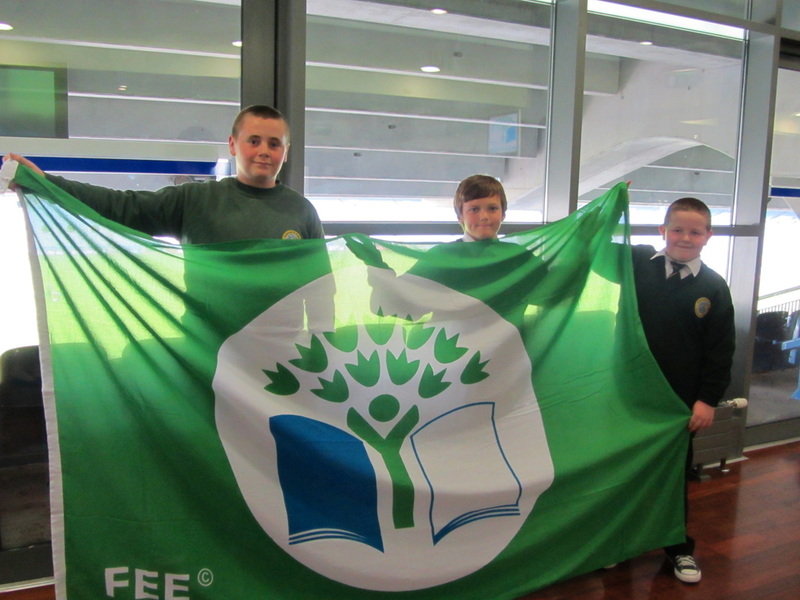 Representatives from Gaelscoil Uí Earcáin- both pupils and teachers were in attendance at Croke Park in June 2012 for the “Green Flag” presentation ceremony, when the school received its first flag in recognition of the work done in school on reducing waste and increasing the ways to recycle some of this waste. Here in Gaelscoil Uí Earcáin, we understand the importance of having respect for and taking care of our environment. 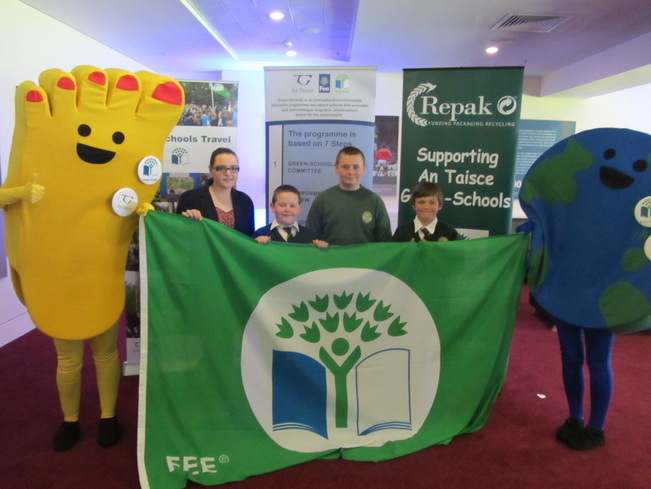 The presentation of the “Green Flag” to Gaelscoil Uí Earcáin was the result of a huge effort by everyone in the school – pupils, staff and parents in reducing litter and waste and focusing on ways to recycle some of the waste produced. Congratulations especially to members of “An Coiste Ghlas” who co-ordinated the programme and kept us all on our toes. We are continuously trying to find simple ways in which we can be kinder to our environment. As a school, we are now working towards our second green flag where the emphasis will be on energy conservation. 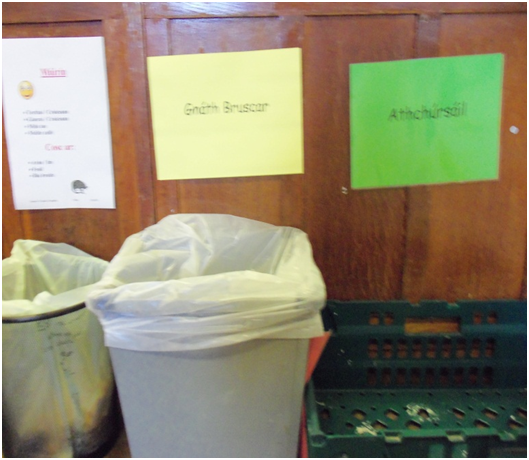 We recognise the importance of recycling and conserving energy at school and the following are ways in which we try, on a daily basis, to take care of the environment. The whole school community is involved in the Green Schools Project with classes taking part in various environmental competitions and projects on a regular basis on a local and national level. 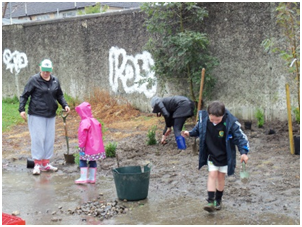 The whole school community is extremely proud of all the work that has been completed since Gaelscoil Uí Earcáin opened in 2005. Well done to everyone, children and staff included who help us keep the school green! 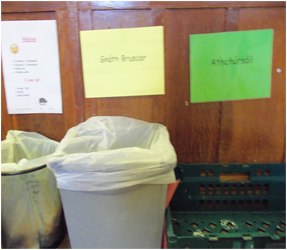 With a focus on recycling and energy saving in the school here is a few examples of the things we do daily to help care of the environment. 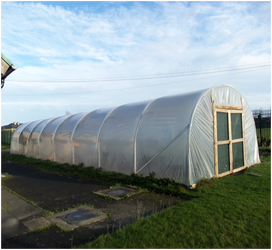 As a school we frequently enter local competitions and complete projects based on the environment. 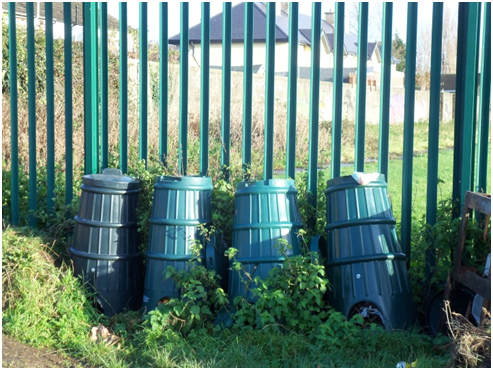 For example – National Spring Clean, Dublin City…and we discuss environmental issues in the classroom on a regular basis. The school community are extremely proud of all the great work that has been carried out in the school since opeining in 2005. Congratulations to everyone – children and staff who help us keep our school green.